Even the most discerning and conscientious social marketer can fall prey to these seven common social measurement pitfalls. Read on to learn what they are and the steps you can take to avoid them. But which kinds of videos? Which kinds of puppies? And what does “it works” mean to begin with? #Hashtag: Is there a hashtag that is the key identifier of your campaign? Is there a hashtag for a previous campaign you can test against? Event Name: Is there an event you are building out content around? Are there two events you would like to test against one another? Phrase: Is there a phrase or key message you would like to test against another phrase or key message, to find out which resonates most with your audience? 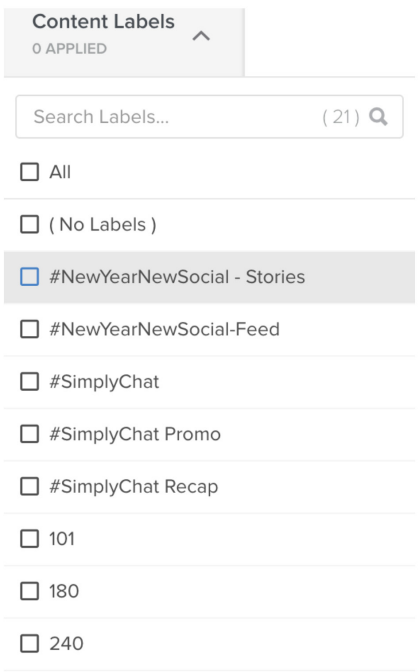 Content Topic/Themes: Is there a content topic or theme that you want to test against another content topic or theme? For instance, does Trader Joe’s content including recipes perform better or worse than their content which lays out the attributes of a given product? Timeframe: You can easily test different timeframes against one another. For instance, does it make more sense to put paid behind a retail holiday in the winter or summer, based on your engagement and traffic results? Persona: We’re all about persona-based social media strategies here at Simply Measured. Once you’ve used social media listening to find out who your social personas are and what they care about, you can make and test different content targeted at different personas. Does one influencer perform better for your brand than another influencer? Test your influencers against one another to understand where you should be making the biggest investment. 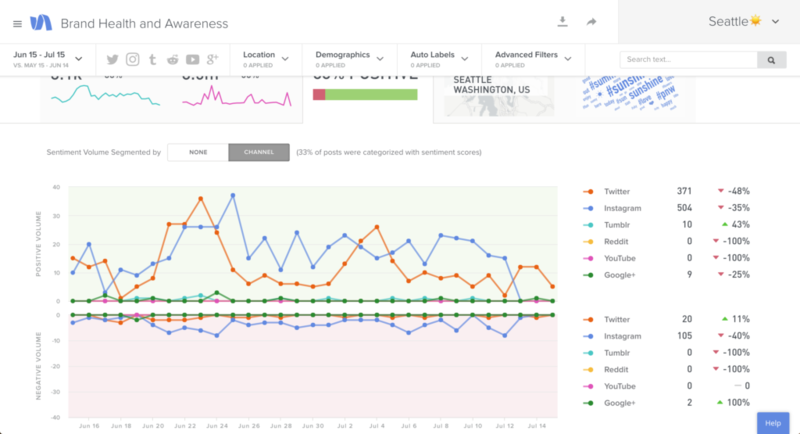 Use testing to understand your social signals. Where should your brand be investing more resources? On which social channels, with which influencers, in which strategies, in which events? Where will you get the most ROI? This will ensure you’re using your budget as responsibly as possible. You shouldn’t be looking at social data for one network, then switching over to another tab to look at social data for another network, then aggregating it all in Google Sheets or Excel. You don’t have to do that anymore. There’s an app for that. 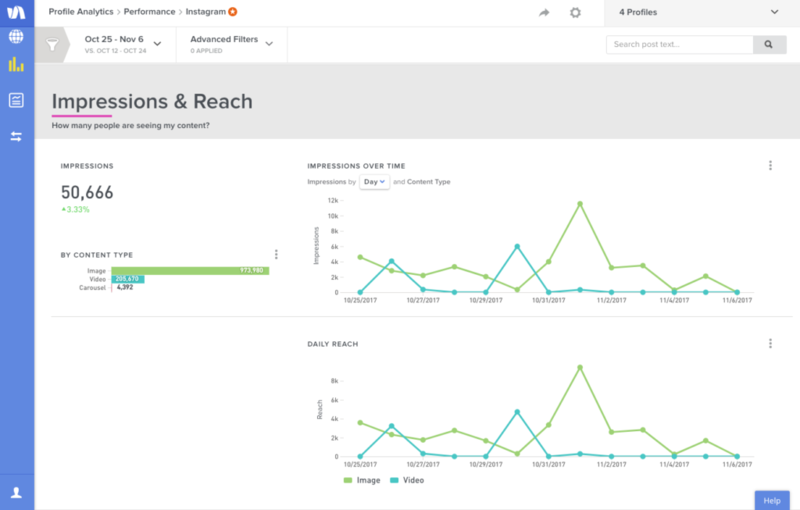 Use Simply Measured Social Analytics to measure progress across all your active social channels. 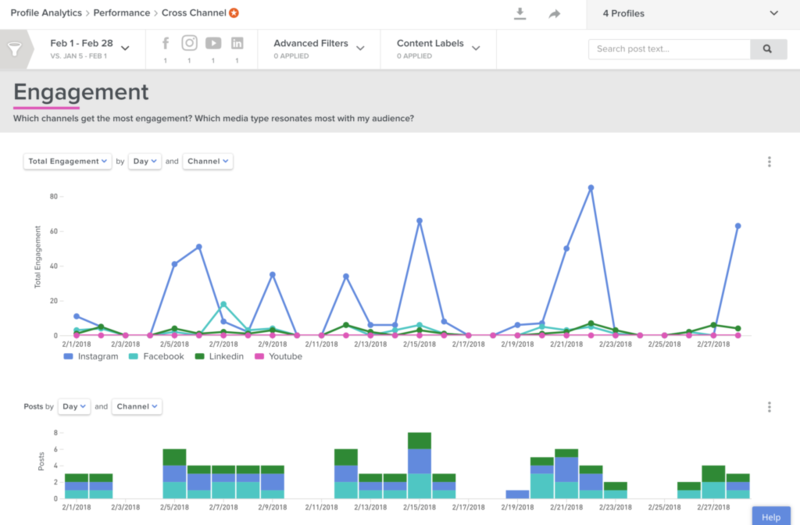 By looking at your social data on all your active social channels side-by-side, you’ll be able to see how these channels are performing against one another in a split second, and determine where to focus future efforts or how to modify a campaign on one channel vs. another. Social media listening enables us to identify key topics of conversation that are of highest interest to our audiences, providing insight into the minds of the two types of people that matter most to our organizations: (1) our customers and (2) the people we want to become our customers. While our primary goal is to understand our audience, we also use the information gained from social listening to create new, engaging content that will attract more people to our brands and keep our current customers engaged. Use Simply Measured Listening to understand the trending topics around your brand/industry on a moment-by-moment basis. If you’re not investing in a listening solution, you’re missing out on so much, from measuring the conversation around your industry, relevant topics, and brand, to measuring brand sentiment, to measuring how you stack up against competitors. What does success look like to you? Usually it’s the biggest number, whether that’s engagement, views, impression, reach, share-of-voice, web track, etc. But in focusing on totals, are you ignoring growth? For instance, your total audience size on Twitter may be higher, but your percentage audience growth on Instagram might be higher. Audience size, in particular, helps you understand which specific actions are directly correlating to expanded brand awareness. 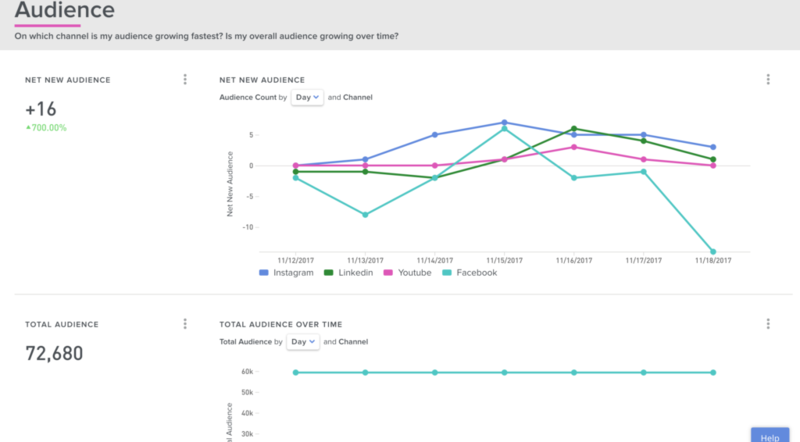 Measuring your social efforts with both a “growth mindset” and “totals mindset” is important, because it helps you identify emerging channels and channels you should throw more weight behind. Before you can measure effectively, you have to know what you’re looking for. Sounds simple, right? Key performance indicators are metrics that indicate whether you are meeting your business objectives. Our metrics map will help you draw the line from the stage of the buyer’s journey you’re focusing on, to your social objectives, to your KPIs, to the impact social activities have on your business. Let’s talk through the social metrics map of a buyer in the awareness phase of the buyer’s journey. To expand brand awareness, a social marketer needs to consistently push out relevant content to their brand’s target audience. The social marketer can measure progress by tracking how many impressions, how much reach, and what cost-per-impressions (for paid) looks like during a certain period. These metrics are relevant for a business because they impact share of voice: how loud and known your brand is in relationship to your competitors. It’s likely that you are choosing multiple stages of the buyer’s journey to target, but we recommend choosing one stage per testing cycle, so that you’re clear on what you are testing for and what it means for your business. Our social media manager came to me in a panicked state one day. “Our engagement is down, our reach is down, our impressions are down!” This was on our most active and effective social channel, Twitter. We sat down to look at the data, of course. I asked our social media manager the following questions. Which time period was she looking at? Was it a large enough time period to give us meaningful data? What had happened immediately previous to that time period? Had any big campaigns, paid activities, or company events recently come to a close? What did the data look like during the same time period in the previous month? Or, if the time period she was looking at was a month, what was the data for the entire previous month? What did the data look like year-over-year for the time period? Is this a seasonal shift that we can expect? What did other metrics look like? For instance, was our engagement down, but website traffic up? Which of these metrics is worth more to us right now as a business? After going through an analysis based on my questions, we found that a big paid campaign had just ended around a major company event, and that we had also just ended a campaign strategy which had been successful at driving engagement in the past. By understanding what had happened, we got our peace of mind back and understood the total impact of what we were doing and had stopped doing. Entire campaign vs. entire campaign: Or strategy vs. strategy. Choose equal time periods to deploy each campaign or employ each strategy, so that you are comparing apples to apples. For instance, test a new strategy on Instagram Stories one week and another strategy the next week. Week vs. Week: If you’re testing for a longer time period, make sure you are understanding how each strategy or campaign unfolded on a week-over-week basis. Month vs. Month: Same as above. Year-Over-Year: How does this time period compare to the same time period in the previous year? Remember that data—information—requires context. Don’t just look at the data for the time period you’re focused on. To get the complete picture, look at the data that came before and after.